Sometimes it just doesn’t click. It’s like assembling a puzzle without all of the pieces. The picture you want to be there just isn’t going to happen that day. Nonetheless, you show up bright eyed and bushy tailed and you try anyway. At least, that’s what I do. And then 60 minutes later I’m sitting in a chair throwing a pity-party because I was unable to achieve a small goal that day. 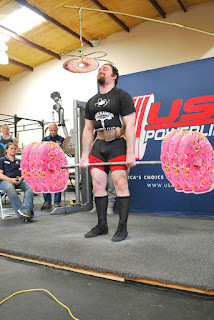 Why do we let something so trivial as being unable to lift an amount of weight, failing to stick to our diet, not being as lean/jacked as we want, or any other missed attempt at our goals bring us down so much? 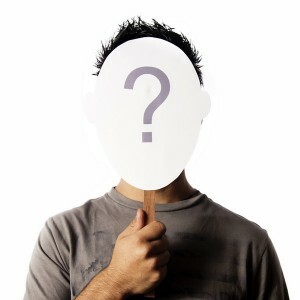 To me it would seem that some of us suffer from an identity crisis. Identity theft is when someone uses their resources to fraudulently acquire another person’s private information, normally for financial gain. This is solely done as a way to gain monetary profit at the expense of an unassuming individual. But imagine what would happen if they stole your identity, and also acquired the things you put your identity on. If you’re a Christian they would automatically begin feeling the Holy Spirit influence their decisions. If you’re a die-hard Dallas Cowboys fan their emotional status would be dependent on a Sunday victory. What would happen to them if they stole YOUR identity? I know exactly how it would go if they stole mine. At one point in my life they would be ecstatic or crushed based on how well they played football. At another point they would live workout to workout with their identity resting on how well they lifted each day and at each competition. At times they’d suffer the mental effects of failing to stick to a specific diet. That has been a struggle of mine for a lot of my life. I place my identity in my passions sometimes. I fail to realize that I am not an extension of my talents when it comes to my identity. Our identities should lie in something that is a constant and reliable. Jesus Christ. The sting of failure doesn’t turn your life into a pile of ash when you identify with Christ. More importantly you are able to be the light of Christ in a personally-dark situation. With this proper identity we are no longer anchored to things that are fundamentally meaningless. So what if you didn’t squat that big weight. So what if you ate a pint of ice cream. So what if you lost the big game. Is Christ any less sovereign? Because we are humans we are going to fail, and if we identify in our actions our identity will crumble before us as well. It’s like building a house on soft sand instead of the obviously firm rock right in front of you – it’s a bad idea. 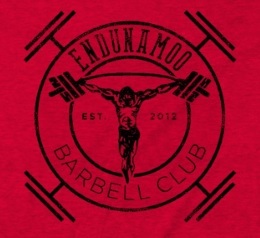 May 7th we are having our donuts and deadlifts competition at Endunamoo Strength & conditioning from 9 am to 12 pm. Join us for a bunch o donuts and a bunch o deadlifts.